Poet and novelist Stephen Meek who visited Reynolds Academy after-school Creative Writing Club. 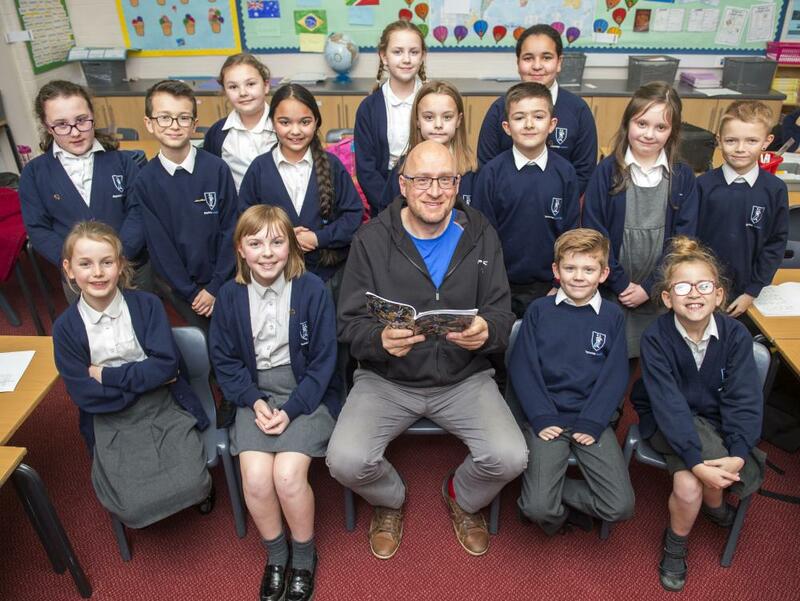 Poet and Author Stephen Meek praised the talent, creativity and good behaviour of the pupils at Reynolds Academy when he visited the after-school Creative Writing Club. Stephen Meek was born in Cleethorpes. His children's novel 'A Boy Arrives' was published by Hawkwood in 2012. He has published two poetry books entitled 'The Bad Traveller' and 'July', and he is a regular book reviewer and social commentator on BBC Radio Lincolnshire. The pupils were delighted to meet him and to share some of their stories and poems with him, as well as hearing him read from his own poetry. Stephen said: "I have been hearing some of the pupils' poems and stories and they were tremendous. I am so impressed by the set up here, by the talent of the children and by how well-behaved the children were. Everything about the afternoon has been great fun. "It is all about imagination, and imagination is the greatest gift that a man or a woman can have because sometimes life doesn't go exactly the way you want it to and, if you have a vivid imagination, you can always have somewhere where you can enjoy yourself and be creative and create new worlds for other people and yourself to enjoy." Evie Green and Taylor-James Clayton read their own poems to Stephen. Evie said: "He really liked our stories and poems and it was fun listening to him reading his own poems."